Critical Thinking/Problem Solving and Professionalism/Work Ethic are the two most essential competencies employers are looking for when hiring, and these same employers report a gap between what they’re looking for and what candidates are bringing to the table, according to a recent survey by NACE. 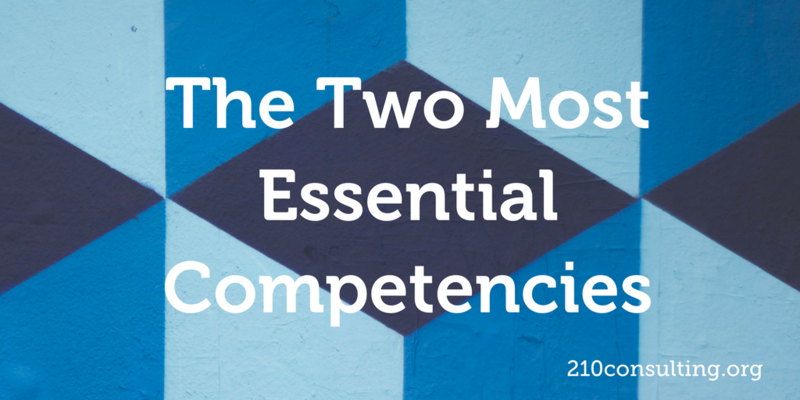 I’ll share more about the next three most essential competencies, Oral/Written Communication, Teamwork/Collaboration, and Leadership, in another post, but let’s focus on these two, Critical Thinking/Problem Solving and Professionalism/Work Ethic, that employers report are the two most important competencies, right now. There’s no reason you need to be among the number that employers find lacking in critical thinking skills and professionalism – both of these competencies can be developed and provide an avenue for you to really stand out from others. The key is understanding and proactively developing your critical thinking and professionalism, then being intentional to reflect them on your resume and when interviewing. NACE, the National Association of Colleges and Employers, did extensive research with employers to pin down the definitions of these and other competencies. The ability to exercise sound reasoning to analyze issues, make decisions, and overcome problems. The individual is able to obtain, interpret, and use knowledge, facts, and data in this process, and may demonstrate originality and inventiveness. >> Cultivate the skill of thinking intentionally and analytically. Most of our thinking is automatic, so we need to practice analyzing how we are thinking, questioning our reasoning, our assumptions, the conclusions we’re drawing. >> Develop the skill of asking questions, of stepping back and thinking carefully about what’s really going on, what’s not being said, what assumptions are being made, what implications there might be. To learn more, check out Drs. Elder and Paul’s article Learning the Art of Critical Thinking on the Foundation for Critical Thinking’s website. >> Look for quantified ways to demonstrate your critical thinking skills on your resume – don’t just state you have them. By using verbs like “identified” and “analyzed” you can link your critical thinking skills to the successful outcome of a project. Check out this article for more tips. >> Before an interview, prepare a few examples of situations where you used your problem solving abilities and critical thinking skills – remembering to share the thinking process you went through to come to your conclusions and solutions. Share about the research you did, how you evaluated different options, considered past experience, consulted others with expertise or experience in the area, etc. The ability to demonstrate personal accountability and effective work habits, e.g., punctuality, working productively with others, and time workload management, and understand the impact of non-verbal communication on professional work image. The individual demonstrates integrity and ethical behavior, acts responsibly with the interests of the larger community in mind, and is able to learn from his/her mistakes. >> Proactively and intentionally develop professionalism. Take responsibility for your actions – avoid blaming others. Focus on your part of the problem and learn from your mistakes Be aware of the impact your behavior has on others and focus on working cooperatively with them. >> Be punctual, organized, and proficient in managing your time. Keep your commitments – when you say you’re going to do something, do it. >> If you’re a college student and don’t have much (or any) work experience, start looking for a part-time job now. Employers look for jobs like waiting tables or mowing lawns to show evidence of your work ethic. >> Interviewers should have no reason to question your professionalism at all. Arrive early and speak professionally and kindly to everyone you meet – the parking lot attendant, receptionist, others in the waiting room, etc. Greet your interviewer(s) with a firm handshake, make direct but appropriate eye contact during the interview, sit up straight, but not stiffly. Dress professionally and conservatively. Check out this article for the best interview attire from every type of interview. By intentionally developing and communicating your critical thinking skills and professionalism you will be able to positively stand out from other job seekers, be much more likely to land the position you really want, and thrive in your career.